Berkshire Hathaway is the largest investment position held by Hendershot Investments, Inc. In 1996, we received our initial Berkshire Hathaway shares in exchange for our shares of FlightSafety International. FlightSafety International, a premier professional aviation training company and supplier of flight simulators, was one of our first investments when we began operations in 1994. When Berkshire Hathaway offered to acquire FlightSafety, we were given the choice of either exchanging our FlightSafety shares for Berkshire Hathaway shares or receiving 10% more if we would take cash in exchange for our FlightSafety shares, a demonstration of Mr. Buffett's reluctance to part with Berkshire Hathaway shares. 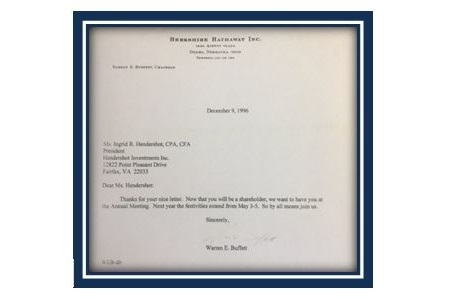 We decided to forgo the short-term benefit of accepting the higher cash offer and wisely chose to receive the Berkshire Hathaway shares instead, which we still hold two decades later. In 1998, the same process repeated itself when Berkshire Hathaway acquired our International Dairy Queen shares. After the FlightSafety acquisition, I wrote a brief letter to Warren Buffett to let him know I was delighted to become a Berkshire Hathaway shareholder. Much to my surprise, I received a return letter within a week from Mr. Buffett inviting me to Berkshire Hathaway’s annual meeting. The letter is a prized possession that I have framed in my office. 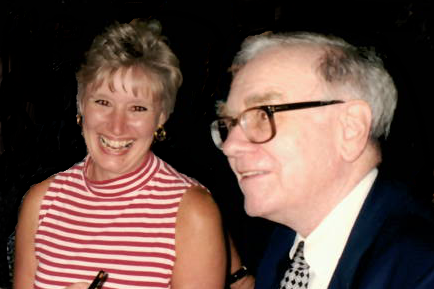 That first meeting was a wonderful introduction to the wit and wisdom of Warren Buffett and Charlie Munger, Vice Chairman of Berkshire Hathaway. 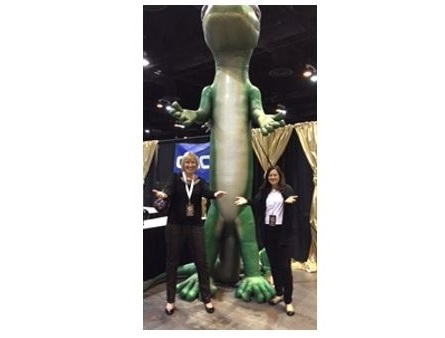 Our treks to Omaha turned into an annual event over the past 20 years as we watched the meetings grow and grow with nearly 40,000 folks from around the world now attending the meetings to benefit from the investment wisdom of these two legendary investors. For those who have never been to a Berkshire Hathaway meeting, I would highly recommend it. For those who can’t attend, Warren Buffett now webcasts the meetings, which usually fall on the first Saturday in May. 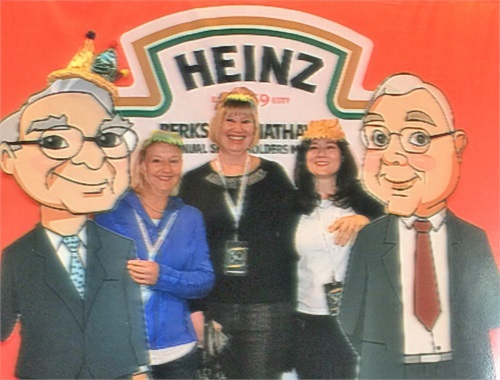 We have included our notes from past Berkshire Hathaway meetings that include Mr. Buffett's classic investing lessons. Enjoy!